Cleaning Professionals You Can Trust! 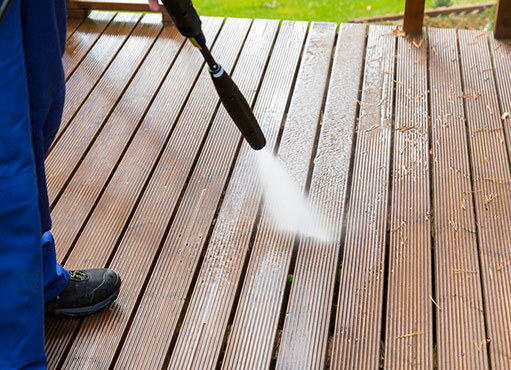 Revitalise your property by giving it a power wash. Stubborn grease on your driveway, mildew on your rooftops, and streaks on your deck diminish the visual appeal of your home. Our committed technicians will work diligently to offer power washing Brampton residents can rely on. We are committed to restoring the beauty of your property hassle-free. NICK’S Window Cleaning has been on a mission to provide reliable services to the GTA. We have been around for ten years, leaving a trail of pleased clients behind. We come with full liability insurance, WSIB coverage, and the most ompetitive rates on the market. Your property is an important investment. To safeguard it, it is absolutely necessary that you pay keen attention to keeping it in tip-top condition. A power wash can restore the fading glory of both residential and commercial property fast, safely, and thoroughly. Most property owners make the mistake of attempting to use pressure washers by themselves. But that is a risky path to take. For us to effectively offer pressure washing services Brampton residents can call effective, we have the technical knowledge which the average homeowner simply may not have. If you value your property, let our capable hands give it a safe, thorough wash. It does not matter how large or small the project is. We treat each job with the commitment and attention to detail it deserves. Whether yours is a commercial or residential property, we have what it takes to make it look new again. We will handle your roof, patio, deck, driveway, gutter, and more. We are Brampton’s trusted partner in pressure washing and that is a title we take pride in. We make sure each client that crosses our path gets exactly what they need. We have a proven track record and by working with us, you will join our list of happy clients. Why should you trust us for your power washing needs? We are equipped with top-of-the range tools that will make short work of your cleaning job. We have tackled numerous jobs in the GTA and have the experience to handle your cleaning. Our well-coordinated work culture means we will be in and out in short while. You can get your property restored in a flash! Keeping your property clean should be high up on your priorities. It not only upholds the aesthetic appeal of your property but also prolongs its life. 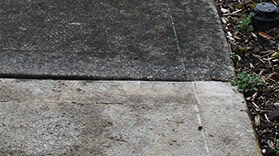 When left unchecked, mold, moss, mildew, algae, soot, and grime can permanently damage the surfaces of your property. Pressure washing provides an effective means of keeping your house free from these contaminants. But should you get your goggles and gloves and do the cleaning yourself? Pressure washers are readily available in stores or if you like, you could simply rent one. But pressure washing is not a task to be performed by just anyone. While it might seem like something you could do by yourself, there are certain risks that make hiring pros the right thing to do. Here are some reasons to engage a professional pressure cleaning company. You put your property at risk: Pressure washers shoot out water with tremendous force and this can damage the surfaces being cleaned. For some materials, there is only a tiny difference between blasting the dirt off and peeling the surface itself. A professional will know just how much pressure is enough. You risk injuring yourself: Apart from damaging your property, handling a pressure washer if you are not trained can harm you. The jets of water are powerful enough to pierce skin and injure your eyes. Even brief contact is enough for water to breach the skin barrier and cause possible infection. You might end up wasting time and money: If you decide to do the job yourself, you will need to buy or rent a pressure washer. But not only is that costly, you also risk buying a poor quality machine that might fall apart after a few jobs. But even with the right hired equipment, you still need to spend some time learning how to operate it. Renting equipment might result in a hasty job: With rented equipment the job should also be done as quickly as possible. You can rent the machine by the hour but since you are inexperienced, it will take you forever to get the job done. The result is a hefty bill and a poorly done job. You can dodge all that by simply giving the task to a professional. Commercial property needs little disruption: For commercial property, time is literally money. You want the job to be done as quickly as possible so that you can get back to business as usual. But DIY pressure cleaning might lead to prolonged disruptions and loss of business. With all those risks, surrendering the job into the hands of professionals is the best option.